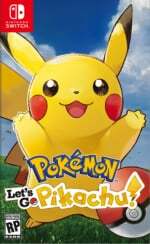 One of the most notable elements of Pokémon: Let's Go on Switch is the fact that it offers connectivity with Pokémon GO, the smartphone title has is played by millions upon millions of people every day. However, getting the two games to connect with one another is proving to be something of a sticking point for some players. 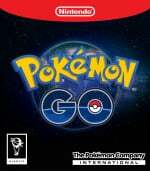 Three members of the Nintendo Life team - all using Android devices, we should probably add - found that initially, they were unable to pair their Pokémon GO account with Let's Go on Switch. When attempting to connect the two, the status screen on the Switch remains on the 'searching' mode and nothing happens, while the phone displays your Switch, showing that it can at least detect it. Eventually, the app on the phone will prompt you to try again, but nothing happens. If you find yourself in this situation, there's an easy fix you can try which solved things for us. If you have any other devices connected to your phone via Bluetooth (such as a smartwatch or fitness tracker), disconnect them - you may also wish to turn Bluetooth on and off or totally restart your phone, just to be sure. When we did this, we found that we could connect the two games instantly without any issues. It may not work for you, but we've had reports online that doing this has solved the issue for many users. Let us know if you're one of them by posting a comment below. Tried the recommended steps (found it earlier on reddit), to no avail. What actually solved was returning to the main game while the pokémon go app tried to connect to Switch, then the switch asked if I really wanted to link my Pokémon Go account. If you have Bluetooth 4.0 LE your Phone wont be supported at all btw. If you don't have 4.1 LE or higher you are funky kong trousers out of luck. Either buy a new phone then or don't give a damn about one of the biggest features of this game, I guess? So the fix is to use an iPhone. i have another problem: the phone is not supported for connect with switch. can someone help me? This title of this article sounds like one of the adverts you would see right above the Nintendo Life comments section, lol. @Not_Soos Now that I think about it, you're totally right haha. Next will be a review for FIFA that starts out "England vs Japan"
Even easier fix for me....I was playing in handheld and it wouldn't connect. I detached a joycon and it immediately worked. But my app still won't connect to the Go Park. Pairing to the game works easily, it's pairing to the park that causes a problem. Tried it docked/undocked, joy cons attached/detached, on mobile internet/WiFi, ... whatever combination you can imagine. Nothing is working. @rvdaele I'm having the exact same problem, but what's worse is that it originally connected no problem. I transferred about 20 Pokemon from Go to Switch but apparently got interrupted during the communication. I haven't been able to reconnect since. The transferred Pokemon are no longer in Go or on the Switch Go Park, so looks like they're lost now. Does anyone have a list of supported android devices? I have looked in Nintendo & game freak websites without luck. When I try to connect to my NS no luck, No supported device error message pops up. @Jeramina I just made a NintendoLife account to thank you for this post. Human error and I never would have figured it out otherwise. You are an absolute legend. @Jeramina Thanks for this, it makes me think that I could get it working on my iPhone as well. So far though, it is still not working. I know I've seen the Switch icon on my screen before, but since I wasn't in the right village yet, I didn't bother trying it out. And now that I am finally at the Park, it won't connect no matter what I try. Is Nintendo trying to fix this issue at all? Before, my switch and pokemon go connected flawlessly. Now, no connection. Need help.